I was in Betfred bookies today trying out a couple of the latest releases; the Justice League slot and Monopoly On the Money. Not many Betfred bookies have these FOBT’s, they are the terminals which came when Coral was forced to sell some of their betting shops to be compliant with the Ladbrokes and Coral merger. As such, the contracts remained on the original betting terminals in the shops that Betfred took over, so these ones remain in place until the contracts expire. With £200 inserted, I first loaded up the Justice League slot. The logo and branding looked good but that is because it comes direct from the movie, the slot itself looks poorly designed, cashing in on the movie rather than making a decent slot game and probably a rushed release. The percentage (RTP) is 91% on £2 stake, with the reel symbols being various sizes, either one, two or three high by the looks of it, although the wild is super stacked. The slot is played across the standard five reels, and for some reason it doesn’t display how many winlines are used, I think it is 20. 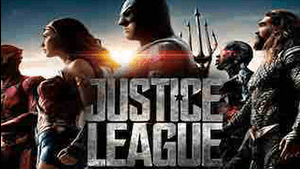 The winning symbols are the super heroes from the Justice League movie; Flash, Batman, Superman, Wonder Woman, Cyborg and Aquaman. There are also low (very low) paying symbols in the form of each individual super heroes icon. Three cubes in view on reels one, three and five award the free spins bonus game. After a little under two minutes I was losing £50! This was due to the very low reel win values, often 20p for three of a kind! The Justice League slot was really poor to play and barely held my attention, so I moved on to Monopoly On the Money, with a current loss of £80 and an unlikely chance I would be playing the Justice League slot again. I haven’t even pressed start yet and this FOBT slot is already looking a lot better than the last one. You can see Scientific Games have spent time on the animations and graphics. There are ten winlines and five reels. Monopoly On the Money uses the obvious playing tokens as the main reel symbols, however they are all in gold which makes the slot look very posh! I started on £2 stake with 25 auto-plays. Three or more Pass Go symbols anywhere in view awards the free spins bonus game, with 10, 15 and 20 free spins up for grabs with 3, 4 or 5 bonus symbols. I didn’t realise at the time whilst playing it, but the Monopoly On the Money slot is a clone of the popular Fishing FrenzyFOBT game, as such the bonus is rare but often very generous. There are a few minor differences between the two, but no differences during the main game that I could see. Monopoly On the Money has an optional pie gamble, similar to Reels of Gold, it also has a Mega Spins option which Fishing Frenzy does not. Other than that, everything else appears to be the same. I was having no luck on £2 stake so I upped it to the Mega Spins which came in a choice of £20, £30, £40 or £50. I couldn’t see much difference between the £30 and £40 and £50 games, and they all offered the bonus scatter symbol as a wild which locks in place for the duration of the spins, so I started on £20 with the intention of upping it to £30 a little later. As the bonus symbol was now wild and locked in place, I assumed it’s appearance would be pretty rare. I was right, unfortunately. My £200 original starting balance soon disappeared and was topped up by a further £200, making my current total on the bookies betting terminal £400. Monopoly On the Money should certainly be played on £2 stake maximum, I wouldn’t be playing the Mega Spins on this FOBT slot again. With £124 remaining I moved over to Wild Times, which is an old slot and one I hadn’t played in a very long time. Someone over on my Facebook page suggested it, so I gave it a few goes on £30 Mega Spins without too much luck. With £75 now remaining I moved over to another FOBT game I hadn’t played in a very long time; Blackjack. Starting out on £25 per hand, I had a bit of success so upped my bet to the maximum of £50. I had a little winning streak which took my betting terminal balance up to £175. I’m not a great fan of electronic Blackjack, preferring the real thing either in a casino or online with live dealers, so I soon exited the game and made my way over to the final betting terminal game; Golden Odds Roulette. My luck clearly wasn’t in today, struggling to make any impression on anything I played. I exited the betting terminal with £205, resulting in a loss of £195. With the knowledge now that Monopoly On the Money is the same as Fishing Frenzy I’ll certainly be playing that again, aiming for a bonus. The Justice League slot I’m not so sure of. If you have any slot or table game suggestions, feel free to post them in the comments below and I’ll try and get round to playing them.